Podcast: What was your first Mac? 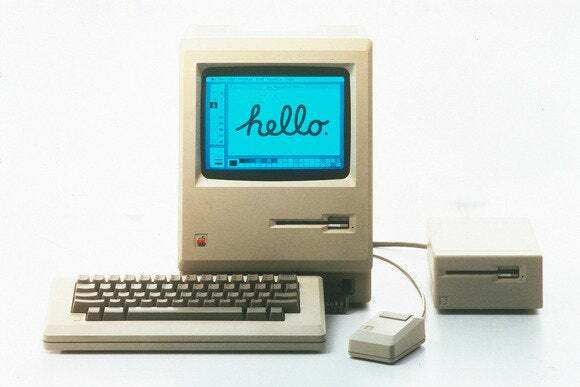 Amid the celebration of the 30th anniversary of the original Mac’s release, one question seems to keep coming up: What was the first Mac you ever owned? That’s the question we put to Macworld editors and contributors, and their answers make up this week’s Mac anniversary edition of the Macworld Podcast. Joining me to share their Mac memories are Ted Landau, Christopher Breen, Dan Moren, Jackie Dove, Serenity Caldwell, and Sharon Zardetto. Throughout the podcast, I also talk with Jason Snell who visited with a trio of Apple executives to talk about the Mac on its 30th birthday. First an apology: There’s a problem with the equipment used to record my conversation with Jason, so there’s a few audio glitches during that segment. The other segments aren’t affected. In addition to Jason’s interview with Bud Tribble, Phil Schiller, and Craig Federighi, we’ve posted a number of anniversary stories at Macworld over the past week. Be sure to check out Roman Loyola’s report on this past weekend’s 30th anniversary celebration and an unboxing of a 30-year-old Macintosh 128K. (The Macworld UK writer who unboxed that 30-year-old computer also provides a hands-on of that Mac, just in case you wanted to know how a three-decade-old machine handles.) Dan Moren’s look at what the future holds for the Mac also deserves a read. This episode is brought to you by GoToMeeting, which is offering a free 30-day trial to Macworld Podcast listeners who visit GoToMeeting.com and enter the promo code MACWORLD.